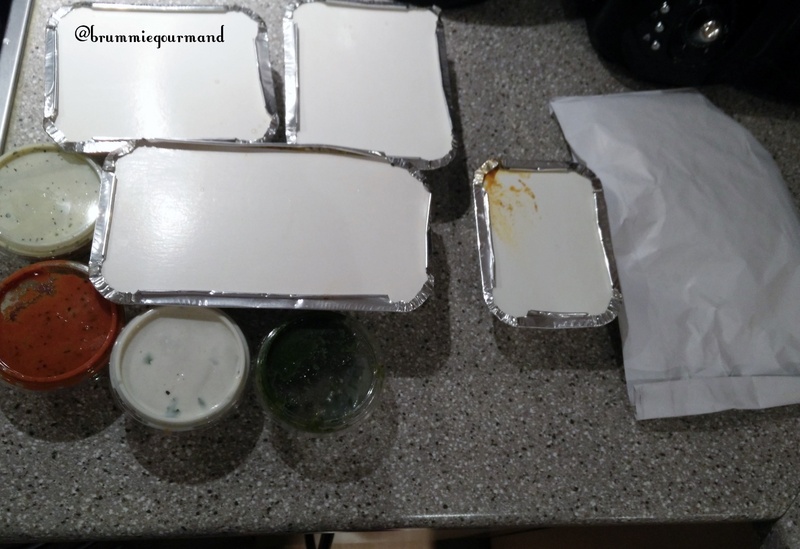 It’s Friday again, so it was time for another start of a weekend in style with restaurant food delivered straight to my house. As you may have read previously, (cough cough) Deliveroo supply a delivery service for a wide range of some of the best eateries in Brum: what I’d like to term a ‘restaurant concierge service’ providing ordering, payment and delivery services for some of Birmingham’s biggest independents with a few chains too. This time, our restaurant of choice was Jojolapa, Birmingham City Centre’s first (and only) Nepalese restaurant, with a blend between Indian and Nepalese cuisine. We weren’t overly hungry this time and decided to share a main with separate starters. Like last time, ordering is pretty much painless. Select your food and order time, the website keeps a running total and adds a reasonable £2.50 for Deliveroo. There’s even space for a driver’s tip too if you’re feeling generous. Chicken Biryiani: chicken marinated in herbs, spices and yoghurt cooked with saffron flavored basmati rice. To which we added a peshwari naan to quench my sweet tooth. The order went in at 6.51pm and an ETA given of 7.26pm. In actual fact, the food arrived at 7.27pm, so top marks on time prediction. A short mobile call from the driver and I was ready to meet him as he pulled up downstairs. The cartons had been put loose in a white plastic bag. As it was transported by scooter, the rigours of Birmingham’s roads meant it had been bounced around by the time of arrival. However, there was mercifully only one small leak from the Biryani sauce. A box would be more beneficial for transport in my opinion. A good sized portion for a starter, my chicken was chunky and well spiced. You could really taste the ginger coming through under the herbs. When dipped in the tandoori masala and yoghurt, it tasted great. Wifey’s momo were hot and very similar to Chinese dim sum. They were delicately flavoured and matched her previous experience at the CBD. The biryani had good sized chunky chicken pieces similar to my tikka, and the rice was delicious with slow cooked onions, which brought an extra dimension to the dish. Accompanying sauce was good, thick, flavourful and the right amount of heat considering we were sharing. The naan itself could probably done with another minute on the grill the remove some moisture and toast the bread more. By the it came to eat, it was quite wet after steaming itself in the foil lined bag. However, bread was nice and soft and the almond paste had the right amount of sweetness. All in all, a great meal slightly let down by its packaging.